Shares of Amazon.com, Inc. (NASDAQ:AMZN) despite currently trading about 10% off their July all-time highs remain higher for the year to date by just about 30%. While still holding on to just about any intermediate- and longer-term bull trends, AMZN stock’s late-July pop and drop does raise further concern the longer the stock fails to put in a strong bullish reversal. In full disclosure and to be clear, I like AMZN stock for the longer term and am a believer in the company. However, as a realist and active market participant, I also would like to take advantage of opportunities in the nearer- to intermediate-term time frames, which can mean going against a longer-term bull trend, for a trade. Over the years I have found that having a multi-time-frame approach to trading and investing not only is a better way to risk manage through the ups and downs of financial markets but also a great way to gain perspective. Looking at the multiyear weekly chart of AMZN stock we see that the latest steep rally that started in 2015 has played out in an orderly up-trending channel, the lower end of which is also well supported with the yellow 50-week simple moving average. Note that in late July, the stock had once again reached the upper end of the ascending channel and on this weekly chart left behind a notably “buying exhaustion” candle on a weekly closing basis. This was followed the next week (first week of August) by a down-week, thus completing at least a near-term top in the stock. Also note that the late-July rally marked a lower high in momentum (bottom part of chart) as compared to the momentum high in 2015. On the daily chart, we see that AMZN stock is now also tracing out an ominous technical pattern called a “head and shoulders” pattern. With a left shoulder in June, the head in late July and the right shoulder still being built, the pattern’s “neckline” is the well-defined black horizontal that comes in around the $945 mark. Very simply, a break and hold below this area could get another leg lower underway for the stock. Using a traditional head-and-shoulders pattern price target measurement technique, this pattern as it stands could lead to a downside target at $800, or about another 17% lower from current levels. A more conservative first downside target however is closer to $900, which is where the stock’s red 200-day simple moving average currently resides. Reversing stocks such as AMZN stock currently is can be taken advantage of with a high-probability income-generating strategy using options. For those unfamiliar with this powerful income strategy I am holding a special webinar for InvestorPlace readers TODAY at 7 p.m. Eastern, 4 p.m. Pacific. Click HERE to register. So, active investors and traders could look to either take more profits in medium- to longer-term AMZN stock positions, or leg into near-term bearish trades (long puts, short call spreads or short stock), using a stop loss at $1,020 and a first downside target around $900. Check out Anthony Mirhaydari’s Daily Market Outlook for Sept. 21. 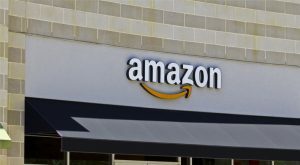 Article printed from InvestorPlace Media, https://investorplace.com/2017/09/amazon-com-inc-amzn-stock-warning-signs/.